We understand that hiring a roofing contractor can be a daunting tasks. You may have been burned or had a bad experience in the past, or you probably know someone who has. With M&S Roofing, you'll never have to be concerned that you will receive sub-par workmanship, inferior materials or inability to get warranty service. 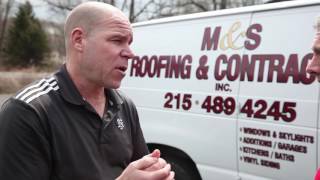 We are the very best roofing company serving Blue Bell, PA and beyond, and have been doing so for more than 30 years. Don't hesitate to call us to bid your next project. You'll be glad you did. Your home and a new roof is a big investment. When checking the references of a roofing contractor, we encourage you to go beyond the normal online sources and really dig deep into their background. 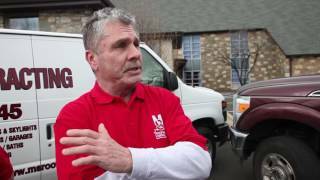 Actually calling past customers to ask them will let you know if they have had a problem since the roof was installed, plus you can find out how well the company handled those issues. If you have a bad feeling about a contractor, trust that feeling. A good, reputable roofing contractor should be able to make you feel comfortable, and then back that up with tangible credentials, history, insurance, and documentation. 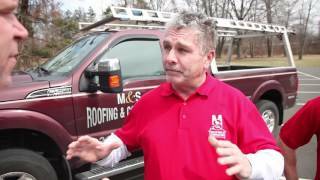 M&S Roofing has an excellent history of high quality and customer service. We invite you to schedule your estimate in Blue Bell, PA today and see all that we can do for you.